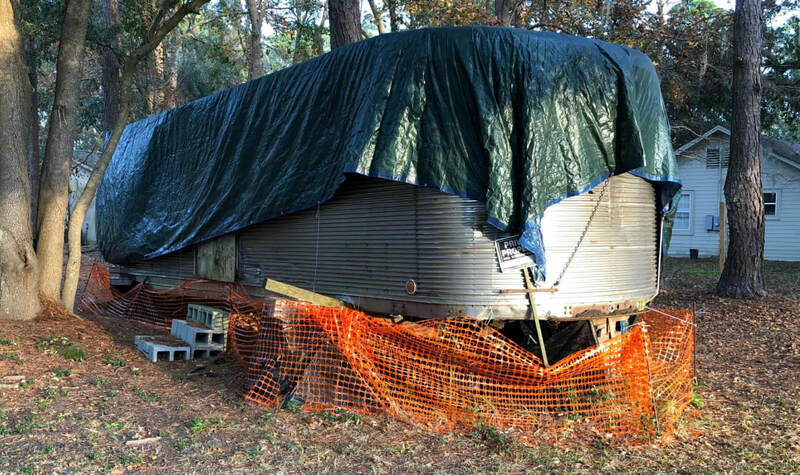 There are 3 different structures on the property of the Gullah Museum of Hilton Head Island that need to be restored. As you know, our main objective is to preserve Gullah customs, traditions, language, stories, songs and structures on Hilton Head. Please take a look at our photos and choose one of our little houses to support. ​The two houses are both, one room houses. They were both built in the early 1950's, before the bridge was built that connected Hilton Head Island to the mainland. 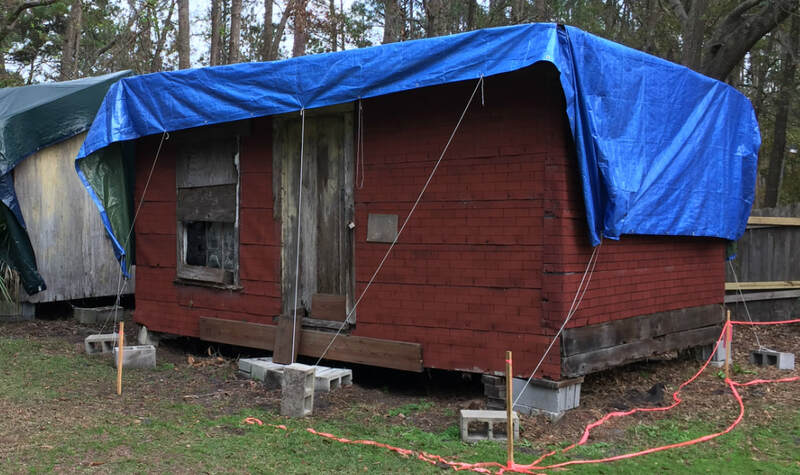 ​The houses were built to provide housing to rent to the migrant workers who came to Hilton Head Island to harvest tomatoes, squash and cucumbers. These houses also provided shelter for many Native Island Families. Dr. Louise Miller Cohen's grandmother and aunt lived together, their house burned down in 1965, and they came to live with us. Her aunt Rena wanted her own space, but she didn't have the money to rebuild. Habitat for Humanity was not available in those days. Dr. Cohen's cousin -in-law purchased the body of the first eighteen wheeler that came across Hilton Head Island bridge. The trailer was placed in the yard. They remodeled the inside of the trailer and made living quarters for Aunt Rena. She died, and everything is set-up like she left it. ​The houses on this site are the only restored Gullah-Geechee houses on Hilton Head Island. 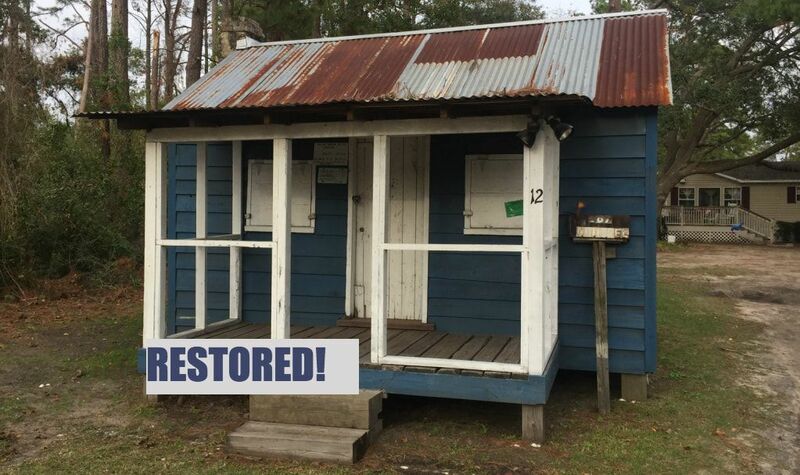 We are happy to announce that the "Little Blue House" was successfully restored with the help of The Home Builders Association. ​We are extremely appreciative of their efforts to support the Gullah Museum of HHI. The Gullah Museum's mission is to tell the story before the bridge came to Hilton Head. Donate and Help Us Preserve and Restore These Historical Structures!